The Geminid meteor shower is one of the largest and most spectacular meteor showers of the year and is not something you’re going to want to miss. Last year it was washed out by a super-moon at the same time, however, this year the conditions will be perfect for optimal viewing, so be sure to mark your calendars. The shower will be visible from December 13th to 16th, however, will peak from the night of the 13th to the morning of the 14th. The Geminids shower is considered one of the best every year because the meteors are not only bright but plentiful, with rates up to 120 per hour at its peak. Obviously light pollution will affect this number, however, some of the brighter ones should still be visible no matter where you are. 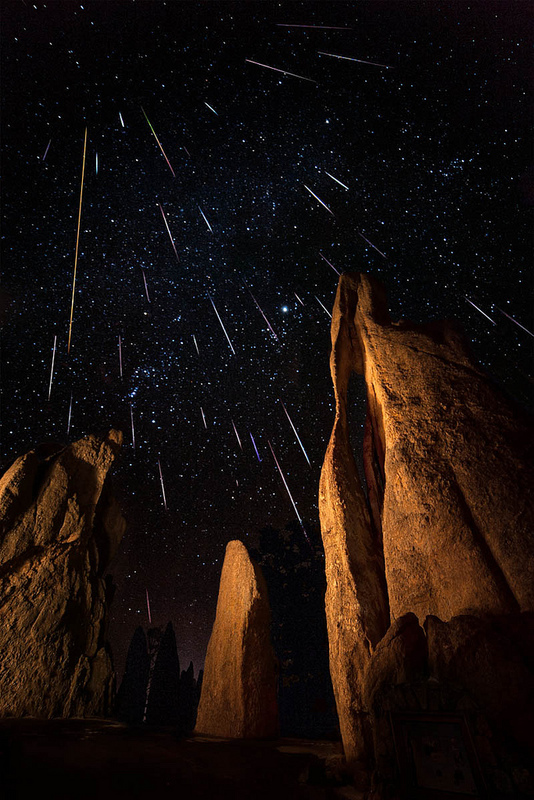 According to records, the Geminid meteor shower is over 200 years old, with the first recorded observation being in 1833. Not only this, the shower is expected to get brighter with every passing year. The growth in strength is attributed to the affect Jupiter’s gravity has on asteroid 3200 Phaethon (the source of the meteors). The meteors are expected to peak around 2 am, however, they will be visible before and after as well, albeit in smaller numbers. The Geminids shower owes its name to the constellation Gemini where the meteors appear to emanate from. They will appear in other parts of the sky as well, however, this is where the largest concentration will be visible. In order to find Gemini, locate the constellation Orion, which is easy to identified by bright 3 stars that make up Orion’s belt, then simply look up and to the right to see Gemini, high in the northeastern sky. As I previously mentioned the meteors come from Asteroid 3200 Phaethon, a near earth object that may have collided with another object in the past that produces the stream of particles which collide with earth which produces the meteor shower every year. This asteroid orbits the sun every 1.4 years making it an annual meteor shower, however, it is often not always visible in cases like last year where another event (the super-moon) outshone the falling meteors, thus making them invisible to the naked eye. Meteor showers like this don’t require any special equipment like binoculars or a telescope, and are completely visible to the naked eye. To get the best view simply find a clear view of the sky, preferably with minimal light pollution, and sit back to enjoy the beautiful show.